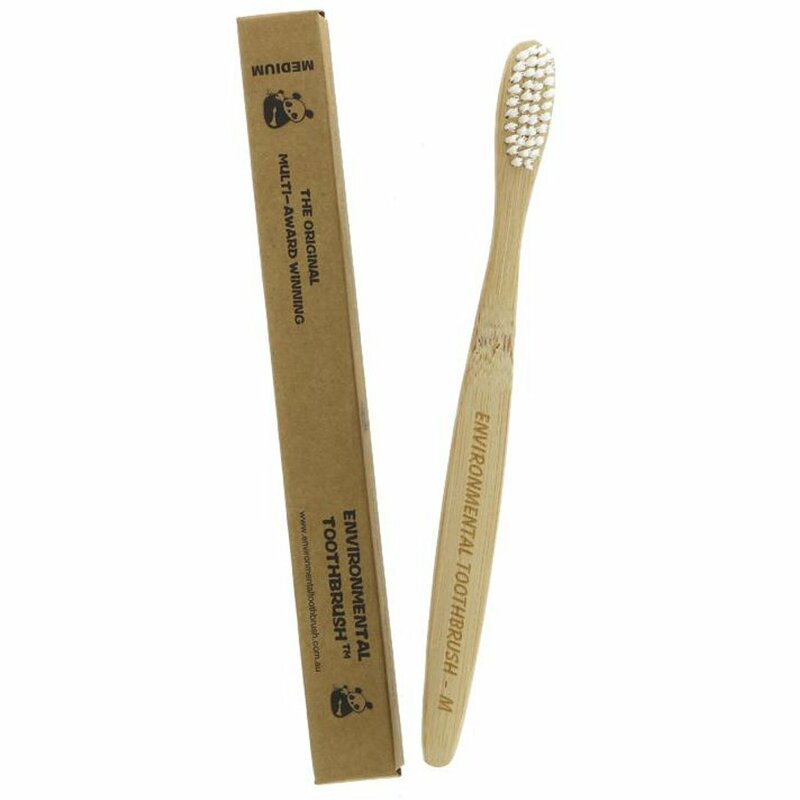 Made from biodegradable bamboo with medium BPA free bristles, this sustainable and Fair Trade toothbrush is durable and environmentally friendly. Bamboo is grown sustainably without using any nasty chemicals or pesticides, and is great as it is the fastest growing plant on earth, and incredibly abundant, re-generating itself naturally. Once you’re finished with your toothbrush it can go in your regular bin as it will degrade quicker than plastic in a landfill, or it can also be composted if the bristles are removed first before recycling. 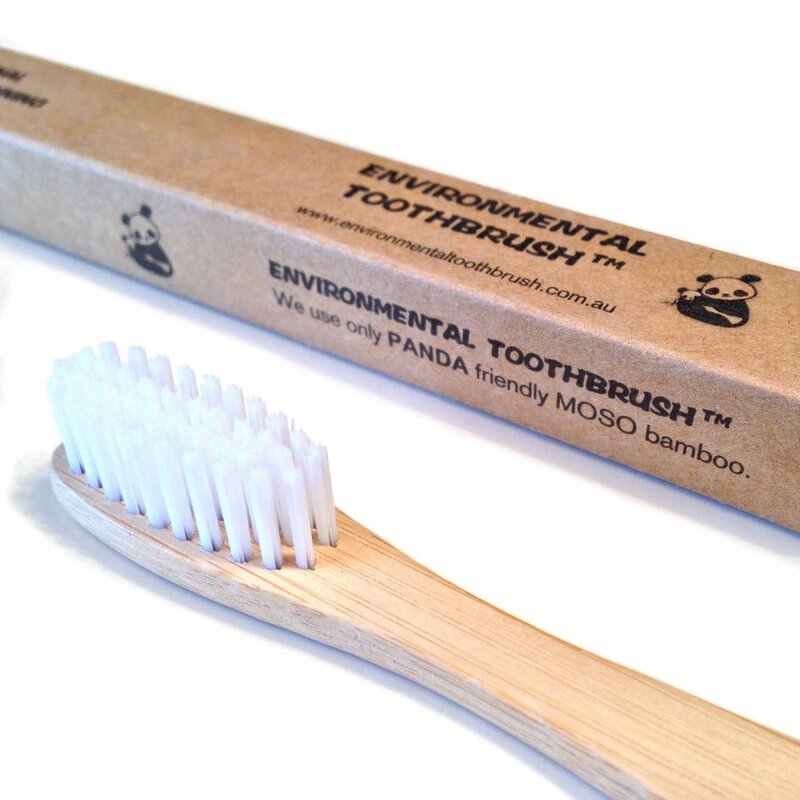 The Environmental Bamboo Toothbrush - Medium product ethics are indicated below. To learn more about these product ethics and to see related products, follow the links below. I wish they would make brushes with a plastic head, because I find the feeling of the dry bamboo in my mouth quite uncomfortable and the bristles are plastic anyway. You could then snap off the handle below the plastic head once you're done with the brush and compost the handle whilst throwing out the head. This is an efficient toothbrush that is nice to use, infinitely preferable to plastic ones and better value than other eco friendly ones.. My only slight disappointment is that the bristles can have a tendency work loose and come out after a while. Maybe I am overly aggressive with my brushing! Great bamboo toothbrush. Easy to add your own colour dot on the brush to tell them apart and save money on the more expensive pre-coloured options! 16 out of 18 found this question and answer helpful.